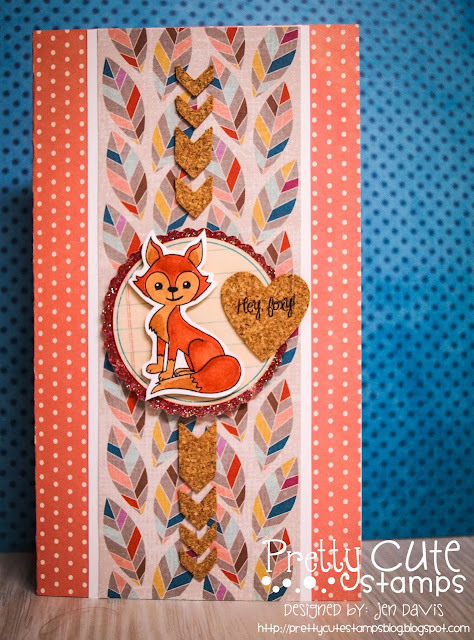 Pretty Cute Stamps Monthly Challenge - Anything But a Card Challenge! 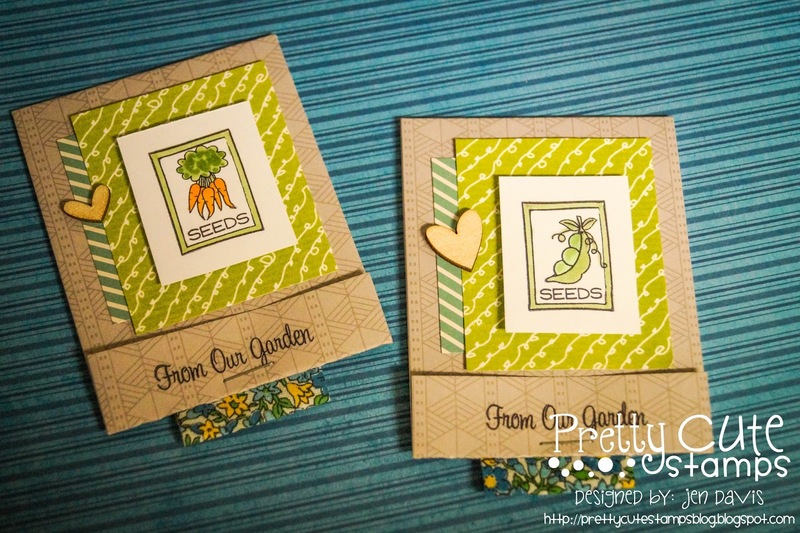 This month's challenge over at Pretty Cute Stamps is to create anything but a card...when I heard this month's prompt I knew right away what I wanted to do for this one! I pulled out the new stamp set GROW and went to work creating two little seed packets and I love them! 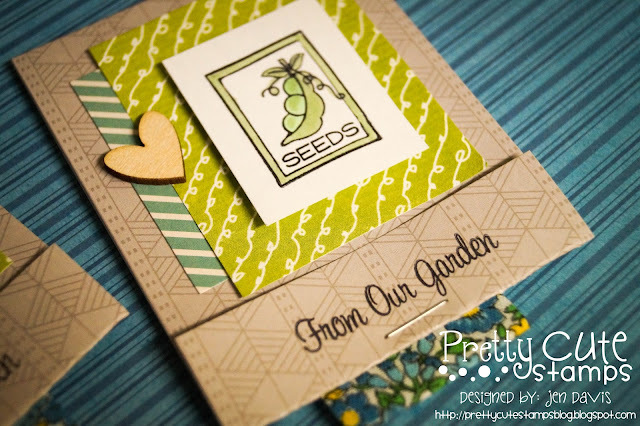 They are oh so sweet, I'm planning on putting real seeds in small plastic baggies and sticking them in the folded packet. I love this stamp set so much! 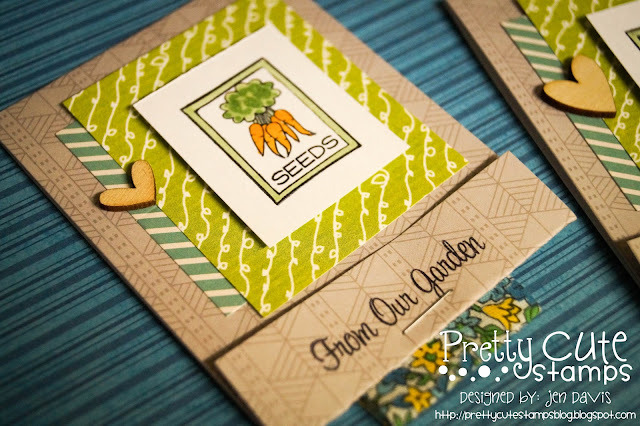 My real garden is still covered in snow here so I'll have to be patient and wait a bit more,in the mean time playing with this stamp set helps with my eager thoughts of spring! 4. The challenge will run for 3 weeks. You must link up your project by 11:55 pm CST on the Saturday...3 weeks after the start of the challenge. 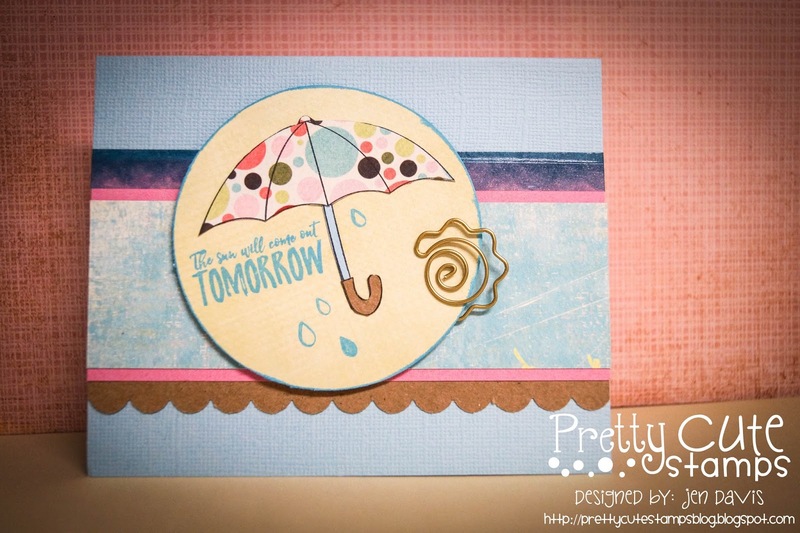 To check out what everyone else on the design team created be sure to check out the Pretty Cute Stamps blog. Hello there!! It's FINALLY spring break for us here now... (we still have a ton of snow, but hey!) so I'm finding a bit of time to update the good 'ol blog. I had fun creating this card using the Forest Friends stamp set from Pretty Cute Stamps a while back and realized that I hadn't posted it here on the blog so I thought that I had best remedy that while I was thinking about it! I colored him in using my copic markers and added some cork stickers that I had in my scrapbook stash of goodies. I love that patterned paper with the feathers! This was my last scrap of it and I'm happy that I used it on this card, it's a perfect fit! I hope you are finding some time to be creative this weekend! Thanks for stopping by! 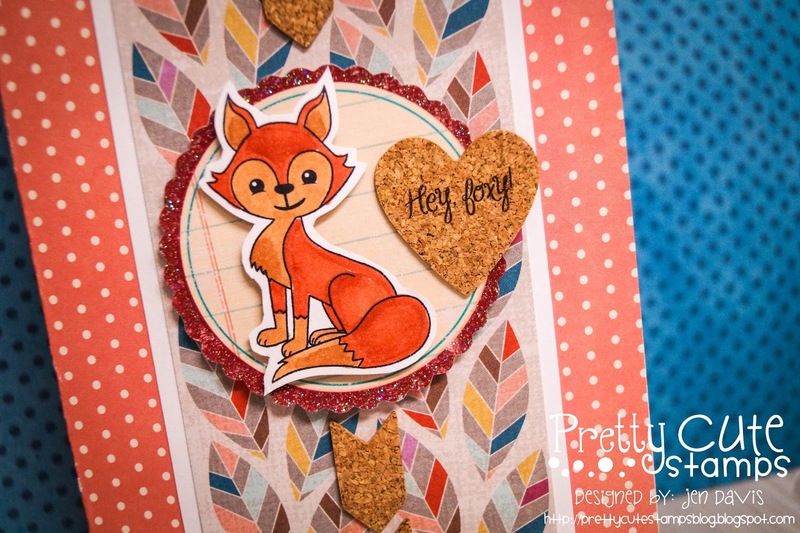 March Sneak Peeks from Pretty Cute Stamps!! It's that time again! There are some AMAZING stamp releases this month from Pretty Cute Stamps...I'm so excited about this month's release and I know you will be too! Here is just a sneak of one...to check out what the others created for their sneaks this month be sure to check out the Pretty Cute Stamps blog. Thanks for stopping by! 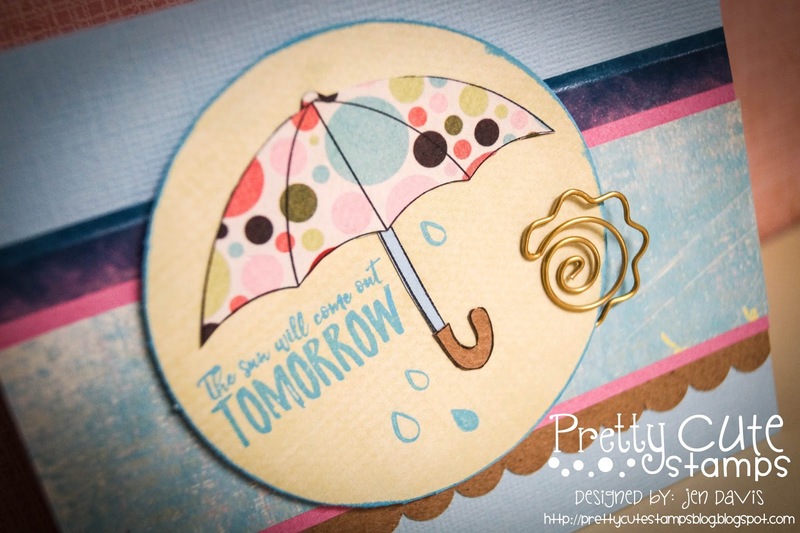 I hope you hang around a bit and check out the blog hop tomorrow!